I am delighted to announce that The Unconquered Sun will be released on 11th February 2016. It is now available for pre-order on Amazon HERE. He is beset by foes. The Harbinger’s legions threaten the people he strives to defend. Critics among his own followers undermine him. The ambitions of his unreliable ally, Garscap Torp, endanger him at every turn. Worse, the blood-thirsty god he spurned is about to return. However, the greatest enemy he must face is himself. The riddle set for him on the Crooked Stair will be answered on the bloody fields of Cliffringden. But will he survive it? This entry was posted in Elysion, News, Progress and tagged Blurb, Elysion, The Golden Rule, The Unconquered Sun on November 17, 2015 by photocosmic. The cover was designed by Marek Purzycki. You can find more examples of his work at http://igreeny.deviantart.com/. The release date for the book will be announced very soon. To the Ors, history and memory are indivisible. Since the bloody birth of the cosmos, the death of their god, the Golden Light, has haunted them. The coming of a great darkness portends his return. His would-be prophet, the Harbinger of the Dawn, was a pariah, but now few remain who would dare to challenge his authority. He is slowly reshaping a peaceful society into a genocidal war machine. Grael Erol and the other inhabitants of the village of Pigsknuckle are unaware of this bright power rising beyond their mountains. However, an unlikely ally strives to protect them. For generations, the Gilt Spider has scourged their mountains and terrorized their dreams. Now, he may hold the only chance for their survival. 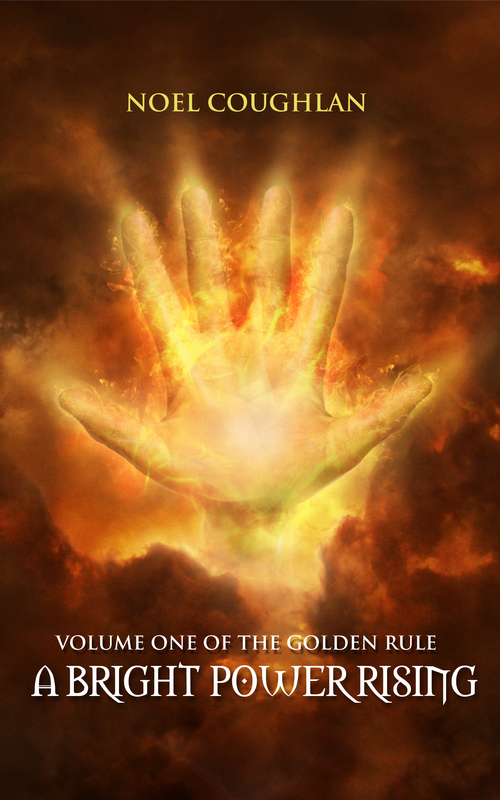 A BRIGHT POWER RISING is the first volume of THE GOLDEN RULE duology. This entry was posted in Elysion, Progress and tagged A Bright Power Rising, Blurb, Cover, Marek Purzycki, Writing on February 22, 2014 by photocosmic.